Nitro (animal ID 1018042) is looking for a new home. Shelter pets are devoted creatures who want nothing more than a family to love and a home to call their own. Sadly though, shelter pets are sometimes misunderstood. Myths about shelter pets suggest they are ‘lesser’ or ‘not as good’ as pets purchased from breeders or pet shops. We want to set the record straight! There are many reasons why a shelter pet is the perfect choice for your family, and why adoption is the best option. Pets often end up in shelters through no fault of their own. Their owner may have moved into a nursing home, no longer have the money to care for them, or be dealing with other significant challenges that prevent them from giving their pet the time and care needed. Shelter pets do need training to help them settle into their new home and routine, but the same goes for any pet, regardless of where they came from. Some pets in our care need to learn new skills or improve their manners before they will be ready for adoption. Our behaviour team spends weeks or months training these pets to help set them up for success in their new home. 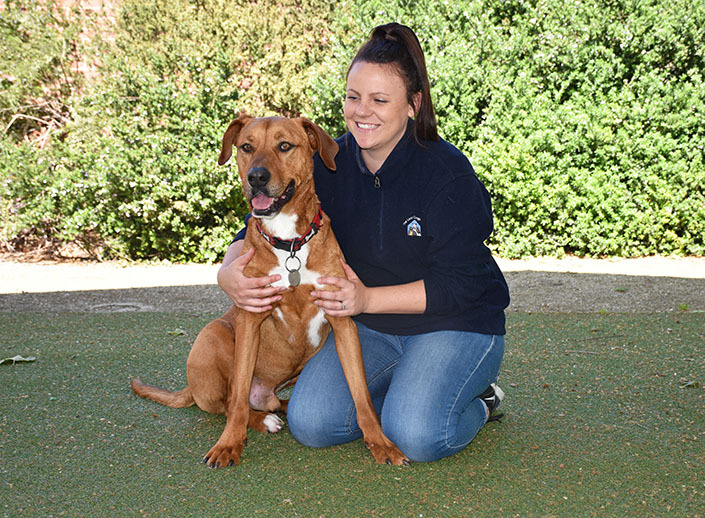 Plus, dogs who go through our Behaviour Program receive one free post-adoption training session with our behaviour team. Most dogs and cats up for adoption at shelters are mixed breeds. As a general rule, mixed breeds have fewer genetic health issues and have been known to live longer than their pure-bred counterparts. Of course, a pet’s health status can change over the years. All pets up for adoption at the Home have been examined by a vet to ensure they are healthy and ready for adoption. Some pets may have a health issue that doesn’t affect their quality of life but will need attention, whether this is ongoing or at some point in the future. But, we don’t think this makes them less deserving of a home. If this is the case, we will make sure the new family understands the pet’s health needs, and a member of our vet team will speak to them about ongoing health care. The fee to adopt a shelter pet is actually a lot less than the cost to purchase from a breeder or pet shop. At the Home, the fee to adopt a dog is $300 and a puppy $450, while the fee to adopt a cat is $95 and a kitten $180. There’s no fee to adopt a senior pet aged seven years and over. In lieu of an adoption fee, you can make a donation of your choice. All pets up for adoption at the Home are already health checked, desexed, microchipped, vaccinated, flea treated and wormed. This is hundreds of dollars of essential vet work that you don’t have to worry about, because it’s all included in the adoption fee. Pets of all ages arrive at shelters, from newborns to seniors, and everything in between. Puppies and kittens are generally adopted very quickly, while adult and senior pets often wait longer to find new homes. Adult and senior pets are just as loving and fun as juveniles. But, if your heart is set on a puppy or kitten, be patient – one will come along sooner or later. By adopting from an animal shelter, you’ll be giving an animal a second chance at happiness. You’ll also have peace of mind knowing you aren’t supporting cruel puppy farms or unethical backyard breeders. Shelter pets are equally as loyal and devoted as pets purchased from a breeder or pet shop. Giving a second chance to a homeless pet feels very rewarding for both you and the animal. In fact, our adopters often say their pets seem to know they’ve been given a second chance at a happy life, and they’re all the more loving for it. Now that we’ve cleared up some of the common myths about shelter pets, what are you waiting for?! Change a life and adopt a dog or cat today.